Last month Jay released his mixtape The Mistress. Up next for the Young Money star is his oft-delayed album Freeze Time, which he says will be out sometime in early 2012. Head below to learn more about Sean’s upcoming material, and to find out what he really thinks about the world ending when we change calendars in a few months.IDOLATOR: What was the experience of the tour with Joe Jonas and JoJo like for you?JAY SEAN: The thing about touring is you get to see the world, man. I got to see the United States. I went all around the East Coast, West Coast, down South. It was great to play to different audiences and to see all your different fans around the country with just cool, down-to-earth peeps. I think that’s the part [Joe Jonas and JoJo and I] enjoyed the most. There were no ego clashes on tour, just good times. What’s next for you,now that the tour is over?JS: It’s nonstop for me, man. I’m heading off to England for an awards show. After that I come back for a few more shows here in America. Then I’m performing with Paul McCartney and Britney Spears in Abu Dhabi for the F1 Grand Prix. And then the tour of England in December and the album coming out in the beginning of the year. It’s gonna be nuts. Last month you released your mixtape The Mistress. Will some of those tracks wind up on the album Freeze Time?JS: The reason I did the mixtape is so that people would know what to expect of the album. America so far has only heard my pop songs and the up-tempo fun stuff. They’ve yet to hear the slow jams, the R&B stuff I do. So this album is really going to be a mixture of R&B records much like the ones on The Mistress as well as some classic, beautiful pop songs, some ballads and up-tempo anthems. It’s just a real nice musical journey. What’s the significance of the title Freeze Time?JS: At the moment the significance of the title is that Freeze Time has been frozen in time, ironically. [Laughs] It’s been a problem to get it out due to messy, messy legal reasons. For me, I had to kind of put the album on the backburner for a while. I’m just really looking forward to pushing the album out when it comes, once we’re finally allowed to give it to my fans. 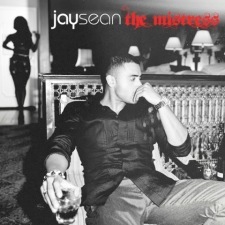 [wpaudio url=”//static.idolator.com/uploads/2011/10/02.-The-Mistress.mp3″ text=”Jay Sean – The Mistress” dl=”0″]What have been some of the reasons for the release date constantly changing?JS: I think a lot of the things that effect release dates, you know, there’s legal issues all the time with managers or with producers, this, that and the other. And also leaks — when songs leak on the Internet, it’s disheartening. Very few albums nowadays manage to come out without the record leaking. For us, especially if they’re leaking a month or two before the album release, that’s not good. Who’s a fellow artist that you find to be inspiring?JS: Keane is just a really, really awesome band. I actually sampled one of their songs on my mixtape, a song called “She Has No Time.” They’re just really melodically beautiful. Hopes And Fears, their first album, is one of my favorite albums ever. Also, right now, the person who really influenced me, in terms of really loving music again, is Frank Ocean. He’s really focused on just writing great songs and melody as opposed to just writing for the sake of chart positions. I think Frank Ocean is really dope. So let’s end by talking about the end of the world. Between your song “2012 (It Ain’t The End)” and Britney Spears’ “Till The World Ends”, the apocalypse seems like it’ll be one big party. What do you think we’re in store for next year? Obviously, you’re album comes out then.JS: I don’t actually believe in the 2012 Mayan theory at all, but I thought it would be a really dope thing to write about. Songwriters, we’re always looking for new concepts, fresh concepts, and there are only so many ways you can talk about partying, really. Let’s be honest, you turn on the radio right now, and everyone’s talking about popping bottles and living like there’s no tomorrow. It seems to be like that’s the theme at the moment. Everyone just wants to have a good time. There are unfortunately a lot of bad things happening — the economy, natural disasters and all this rubbish. But I think the world just wants to relax and enjoy themselves and forget about their worries. That’s probably the reason there are so many uplifting house records and dance records out.